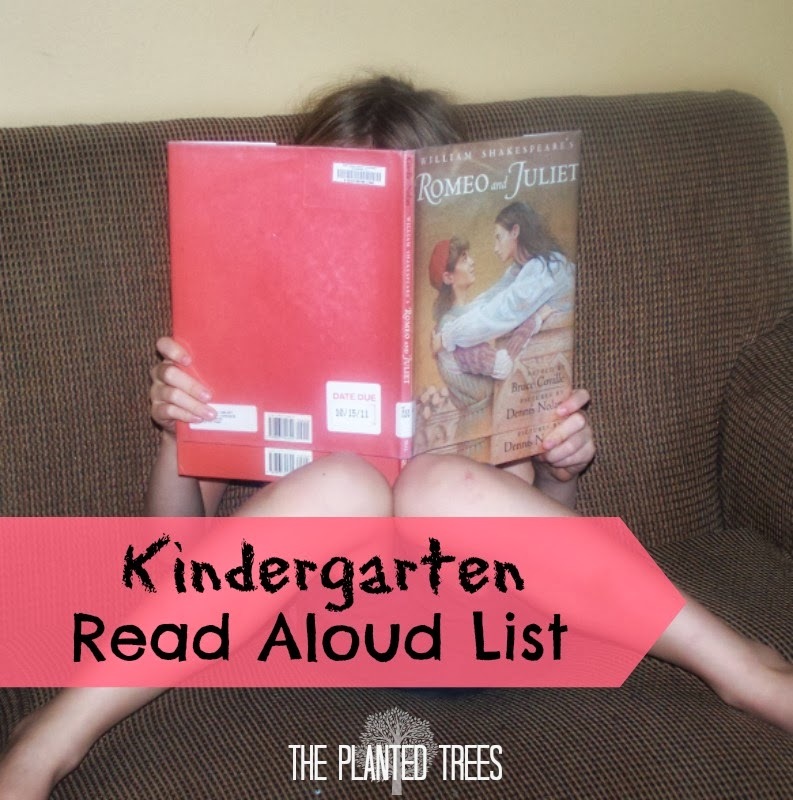 Last week I shared our Preschool Read Aloud List, so this week I thought I would share what we’ve enjoyed for our read aloud time during the Kindergarten year. While picture books still dominate the list, Kindergarten is a good time to introduce some chapter books. I have noted which books are chapter books and which are picture books by noting the picture books with a (pic) and chapter books with a (ch). Please keep in mind that children can understand books at a higher level than they can read them, so if the books seem advanced for this age group, they are supposed to be! I want to encourage all mothers to take the time and read to your children. It makes such a world of difference in so many ways to them and you. If your family has any favorite books for the kindergarten age, please leave the name in the comments. We are always on the lookout for more good books!